Veterinarians at Cummings Veterinary Medical Center’s Hospital for Large Animals watch horses in motion every day – and like you, they want these athletes to perform at the top of their game. You can help by supporting our on-going campaign to strengthen our sports medicine program, which includes building, operating, and equipping our equine sports medicine complex. Horse owners turn to Cummings Veterinary Medical Center’s Hospital for Large Animals for expertise in four general services: equine sports medicine and surgery, general surgery, internal medicine, and ultrasound. The school’s reputation for excellence is reflected in the caliber of its faculty, clinicians, and students. 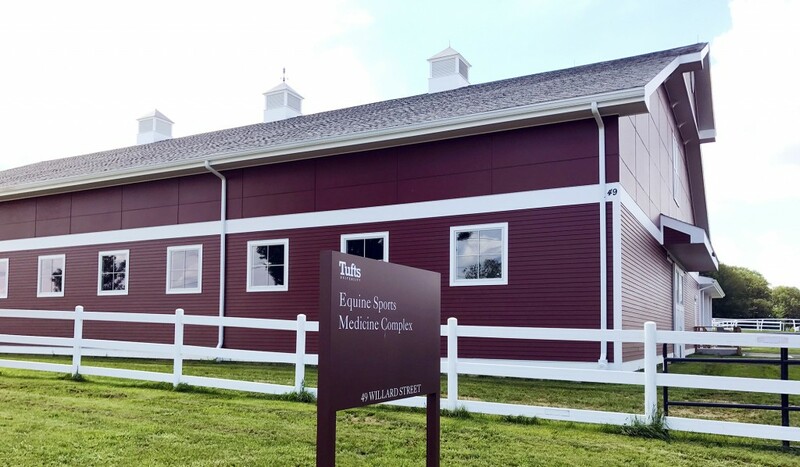 With eight board-certified clinicians, three of whom are board-certified in equine sports medicine, the Issam M. Fares Sports Medicine Program at Cummings is unrivaled in New England for this expertise.